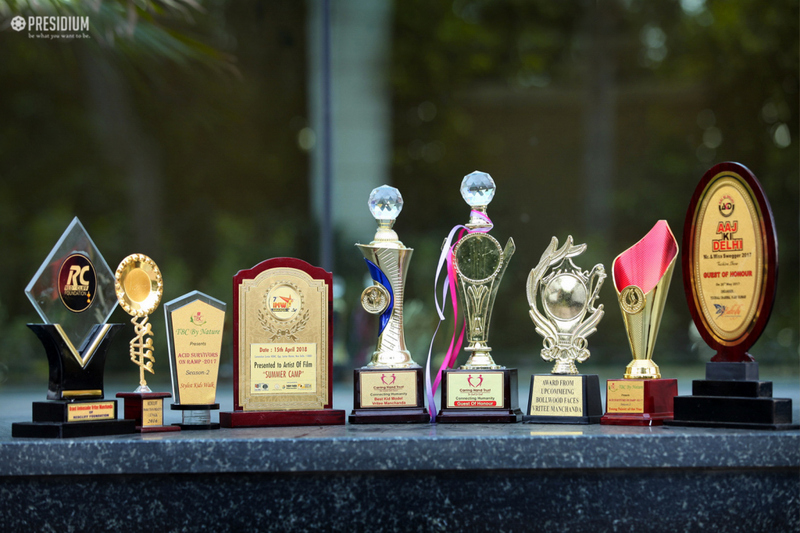 PRESIDIUM GURGAON CELEBRATES THE SUCCESS OF VRITEE MANCHANDA. 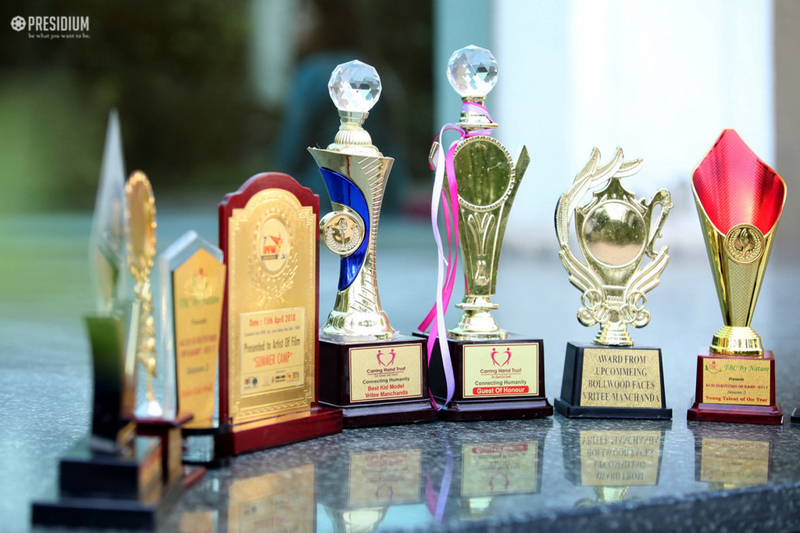 HomeNews and UpdatesPresidium gurgaon celebrates the success of vritee manchanda. 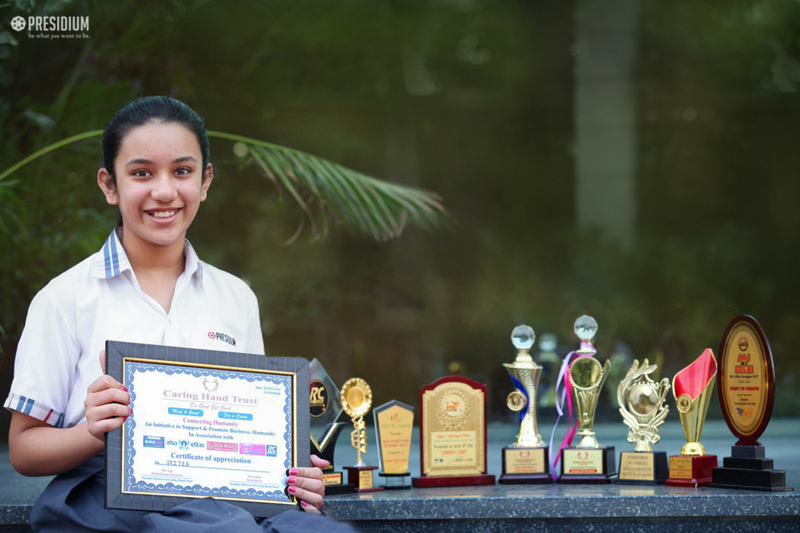 Vritee Manchanda, the nine years old budding artist of Presidium Gurgaon, not only excels in her studies but also holds a green belt in taekwondo. She is passionate about dancing, loves to draw and is an animal lover to the core. 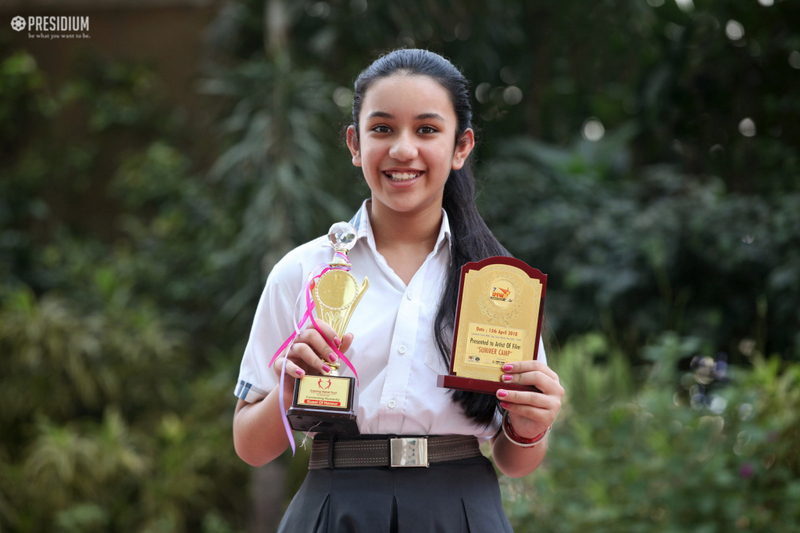 Her achievement in the entertainment industry has made the school very proud. She has established her name as the most revered artist for advertisements and videos. 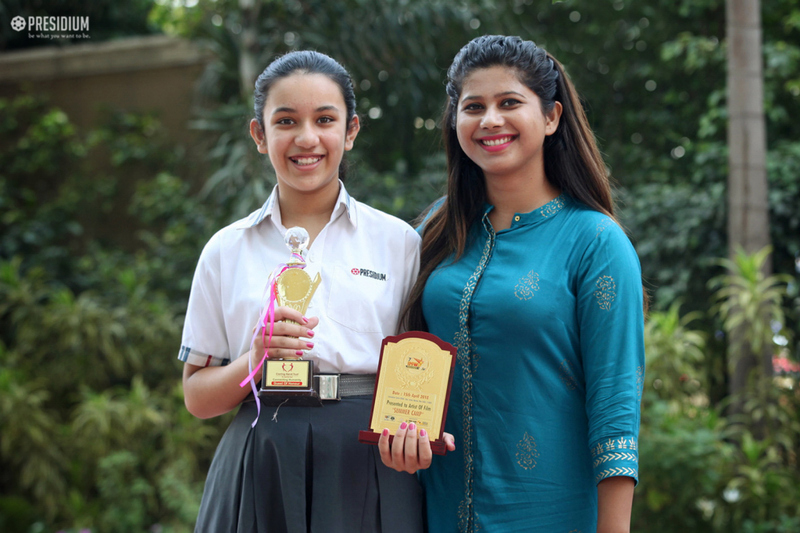 She has received many awards like Young Achievers award, Best Child Model Award and Child Artist Award for the movie ‘Summer Camp’ at the IMWA Awards.